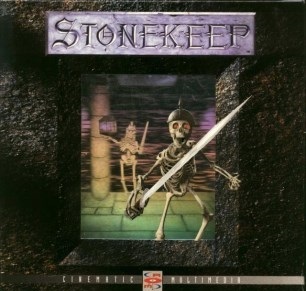 Stonekeep, which can be purchased at GOG for $5.99, was originally released in late 1995. 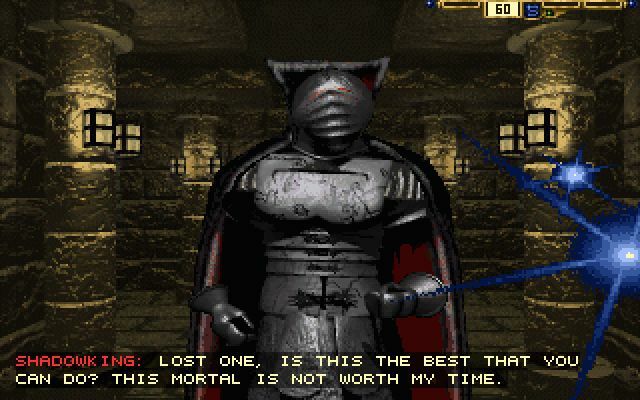 This is relevant because it was four years after Eye of the Beholder II: Legend of Darkmoon, more than three-and-a-half years behind Ultima Underworld: The Stygian Abyss and less than a year ahead of The Elder Scrolls II: Daggerfall, all of which were vastly superior to it in every meaningful way. This isn't to say it's a bad game, really, but it had the misfortune of being surrounded by truly great ones, which only served to emphasize how unremarkable it was. 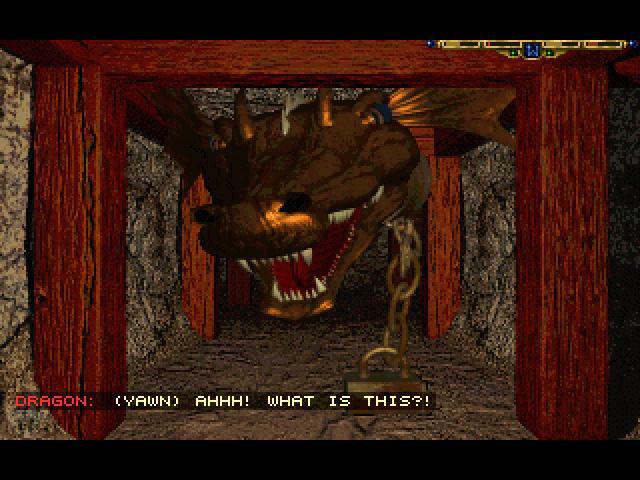 You play as Drake (or, more accurately, his disembodied spirit), who as a young lad was rescued from a cataclysm that sucked the great castle of Stonekeep underground, or something like that, anyway. The not-really-paying-attention version is that the mad god Khull-Khuum caused some trouble, imprisoned some gods, brought in a bunch of surly monsters and blah blah blah. Now it's ten years later, and you're looking for some payback. Stonekeep is an ugly game, and not just because it's almost old enough to go to college. 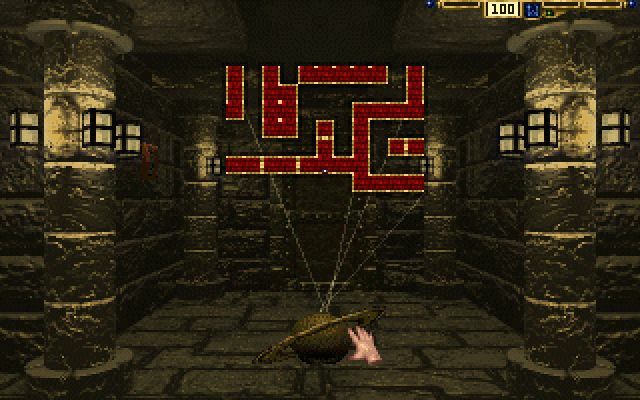 The upper levels of the dungeon are a bland monochromatic yellow-brown and almost completely lacking in decoration. The little bits of room decor that are lying around - tables, chairs, shelves and chests - look like they were cut-and-pasted onto the backdrop by a not-especially-adroit elementary school student. Worse, because of the way the game handles turning within a grid point, they appear to move in a bizarre, free-floating fashion that leaves your perspective on them fixed even as you're moving around them in a circle. Most of the enemies you meet are motion captured, which actually works not too badly; there's a realism in their movements as they run toward or away from you that other games of the era sometimes lacked. 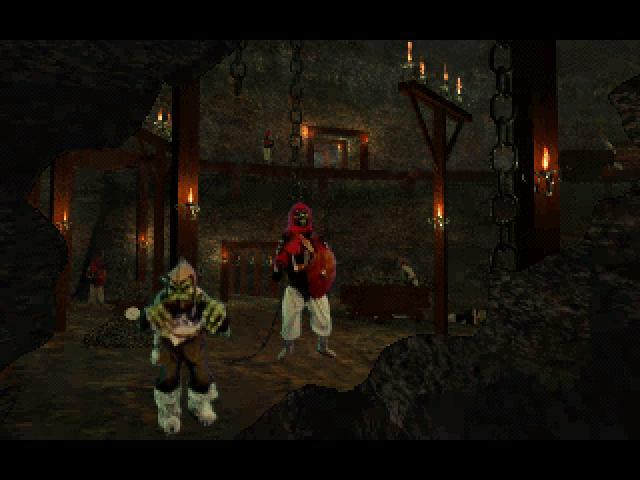 If I had to guess, I'd say this is where the bulk of Stonekeep's budget was blown and, while I'm not much of a fan of FMV, its use in this particular instance works pretty well. While the technology is impressive however, the actual gameplay is wanting. For one thing, you can't strafe, which is absolutely baffling in a grid-based dungeon crawl. The inability to sidestep is a real disadvantage in combat but it's also a hassle for basic movement, which feels plodding and awkward. The inventory is a mess too, a single-column that must be scrolled from top to bottom whenever you need to find something. Items will stack automatically but there's no way to organize them beyond dropping and then picking them all up again in a different order. There's not an excessive amount of stuff to carry but there's more than enough to make it a hassle. Figuring out what it is you've picked up is a chore in itself because there's no way to examine items, either on the ground or in your hand. Instead, you'll have to consult your journal to read their very vague descriptions - once you've found it, that is. When the game begins, the journal actually belongs to a Sharga, one of the creatures who now infests Stonekeep. Somewhat curiously, he doesn't react with hostility when you open the door to his room, but if you enter - and you have to, because there's no other way around and you need this book - he screams, "This my home! Monster, you leave!" and attacks. And you'll kill him. And then you'll take his stuff. It's a highlight moment, because it feels like its intended to suggest that there's more going on in Stonekeep than meets the eye and that you're perhaps not quite so completely on the side of the angels as you thought. But the moment, and the thought, quickly pass and then it's back to the dull hack-and-slash of its generic, paper-thin "good-versus-evil" plot. 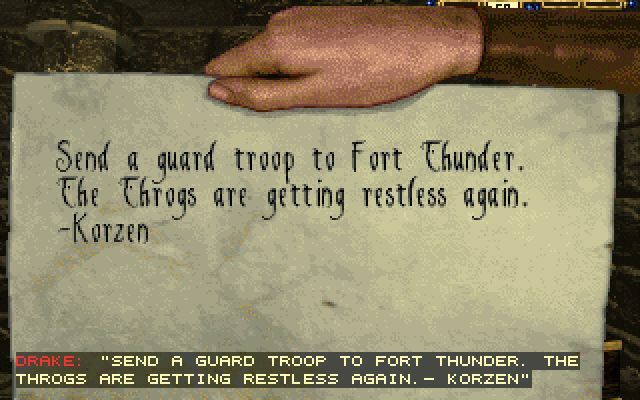 I will no doubt annoy a small but dedicated cadre of die-hard fans by saying so, but Stonekeep is a snoozer. 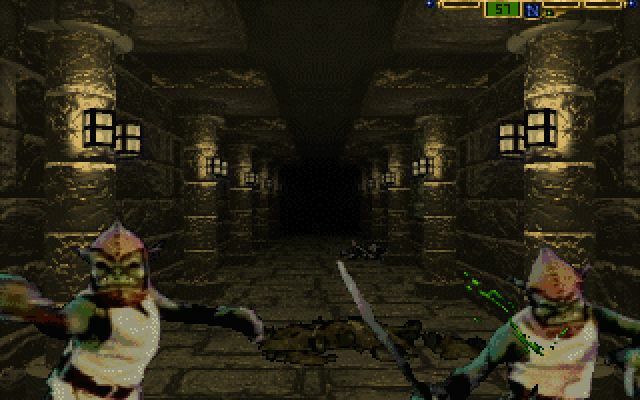 If you want to play a great old-school dungeon crawler from that era, you'll do much better with the aforementioned Eye of the Beholder 2 or Ultima Underworld. 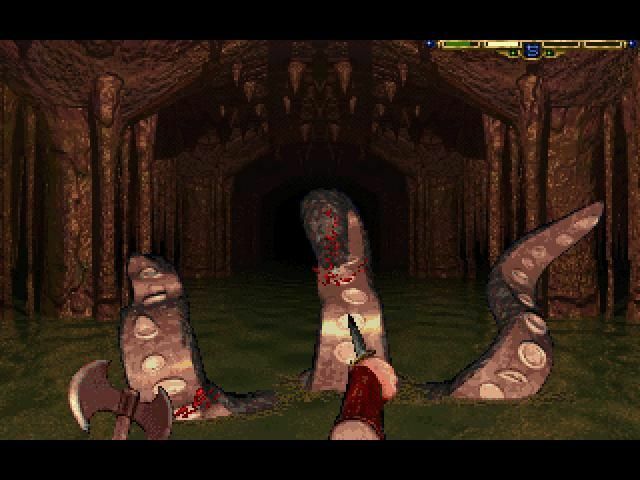 You can go back even further with The Bard's Tale or Dungeon Master or bring it forward a bit with Arx Fatalis. 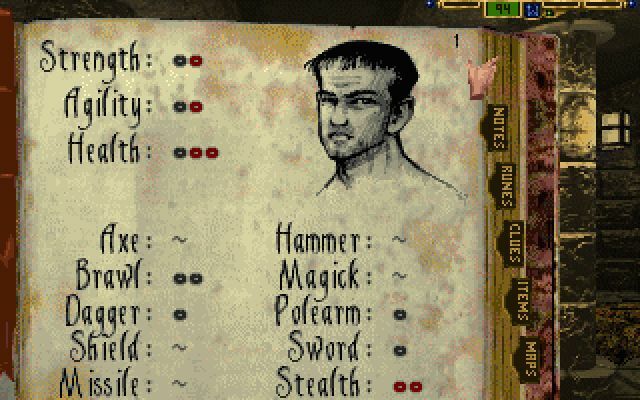 Likewise, even if Daggerfall doesn't technically qualify as a dungeon crawler, the sheer scale of it and the massive number of dungeons on tap make it a far better alternative. Stonekeep isn't a disaster, and if it's the last entry on your "Dungeon Crawl Completionist" list, then hey, have at it. But if what you want is a taste of the best from back in the day, then there are far better options available. Come back next week for the final Good Old Review of the year: Ultima IV.